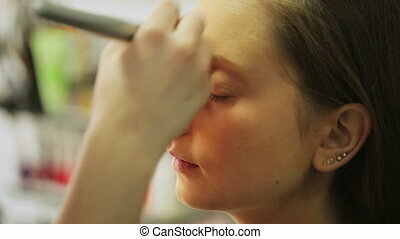 Face makeup. 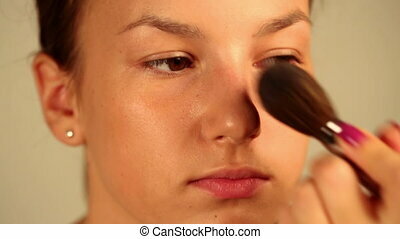 Makeup - dusting face closeup. 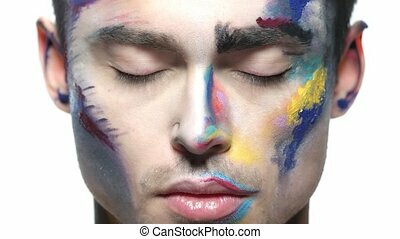 Male face, makeup art. 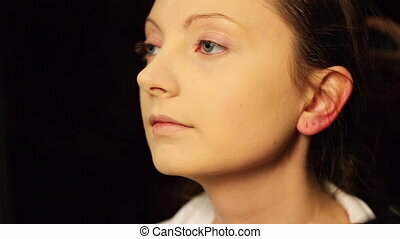 Handsome caucasian man close up. 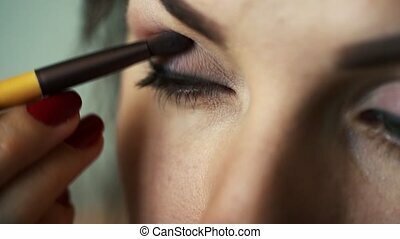 The bold look. 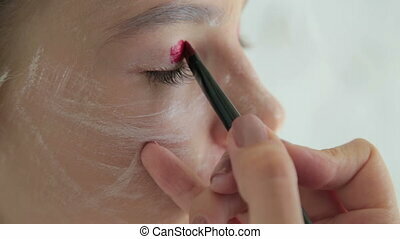 Zombie man face makeup. 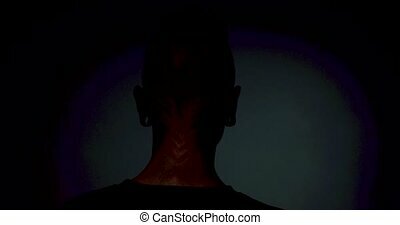 Creative makeup of a man isolated on black background. 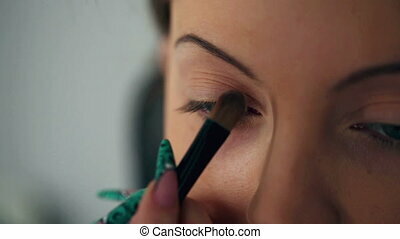 Young Mediterranean girl applying make up. 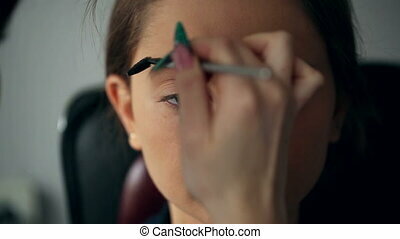 Beautiful woman putting cosmetics. 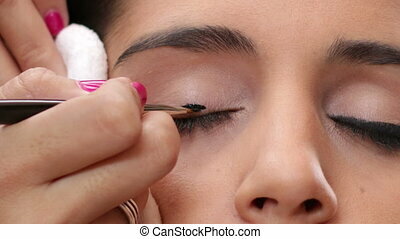 Gorgeous fashion and beauty care close up. 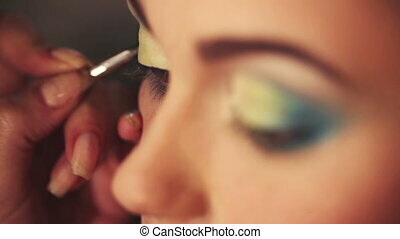 Cosmetician making a beauty treatment to an elegance young girl closeups. 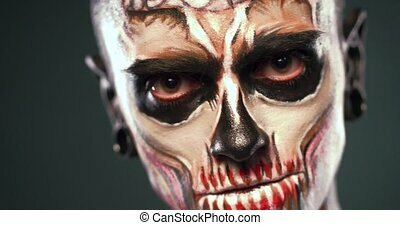 Demon face makeup on mans face. Zombie man turning showing angry smile.